Just in time for the 2016 flying season, we announced at NBAA this week that the 2016 model PC-12 NG from Pilatus will come standard with our new five-blade, 105-inch diameter composite propeller. What’s great about these new props? Everything. 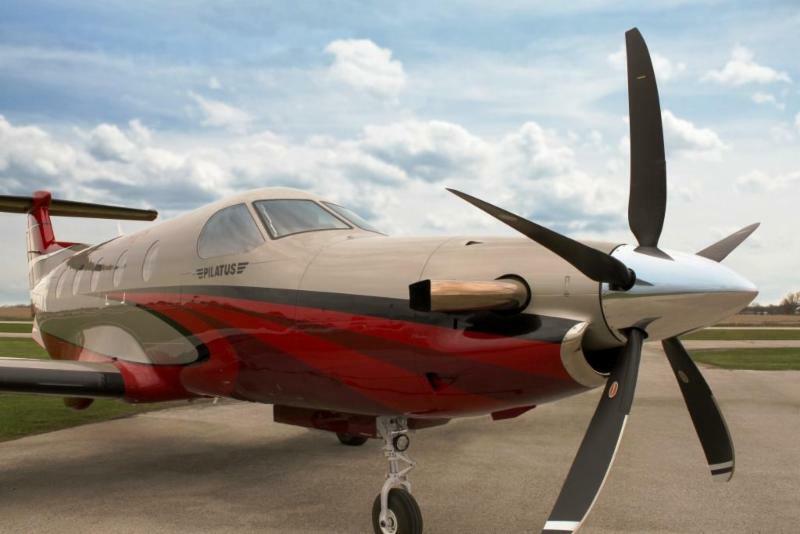 Equipped with the five-blade Hartzell propeller, the 2016 PC-12 NG cruises five kts faster, climbs to a cruise altitude of 28,000 ft 10 percent quicker, and has a 50-foot reduction in total takeoff distance. The highly swept airfoil reduces flyover and cabin noise and its blades are certified for unlimited life. Bottom line? The new 5-blade composite delivers better performance and reliability. It’s also a full seven pounds lighter than the standard four-blade aluminum propeller, and lighter than wood core five-blade propellers. It also comes with our 3,600/3 year Top Prop warranty. At Hartzell, we’ve made big investments in structural composites, advanced aerodynamics, and the newest manufacturing processes to deliver this quieter, more efficient prop. Our structural composite utilizes aerospace-grade carbon fiber that’s five to 10 times stronger than beech wood and spruce wood core propellers. Using stronger materials means we can design thinner, wider airfoils that optimize performance. The new propeller’s state-of-the-art wedge shank retention system made of stainless steel alloy is much more robust than lag bolt and aluminum construction. For unmatched durability and FOD protection, we’ve also equipped it with a nickel cobalt leading edge with a stainless steel mesh erosion screen. Learn more about the new props we’ve designed for the PC-12 fleet, or have a peek at the new turbine propellers we’ve developed for the Beechcraft King Air 350.